‘Eka Dawasaka Api’ the latest movie production of the well known film producer, Dr. Arosha Fernando will be screening in 40 film theaters across Sri Lanka in the CEL Film Circuit from February 1 for a limited period. “We have commenced the production in April last year, and I am pleased to see it’s getting released in the theatres in just 10 months! This is due to lot of hard work by all the people who were involved in the project and the movie itself will be a new experience for the viewers due to the way it was shot and produced,” said Dr. Fernando who has produced 16 films in a short span on four years. Directed by the award winning film director, Anuruddha Jayasinghe. The movie features Best Actor 2017 award winner Pubudu Chathuranga and the Most Popular Actress 2017 award winner Nayanathara Wickramarachchi as the main cast along with the technical crew. The Assistant Director is Sasika Herath, Make up artist is Priyantha S. Wanninayake, DOP is Chinthaka Somakeerthi, Assistant Make up artist is Yash Suwahas, the Art Director is Sanjeewa Karunaratne and the production equipment and crew are by Cinepro. The film has been shot with many difficulties in tough terrains such as on top of the scenic Bible rock etc. 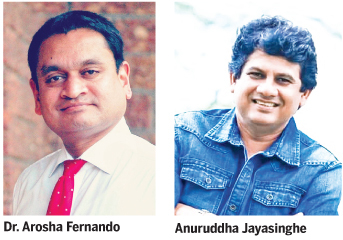 “We have used all the latest technology including drones to capture the uncomparable scenic views which has not been captured in a movie before,” said director, Anuruddha Jayasinghe. “The film is based on a timely youth issue and addresses few other critical cultural issues that has hampered growing us together as one nation. It focuses on giving a positive message to the youth and the society as a whole,” Anuruddha added. 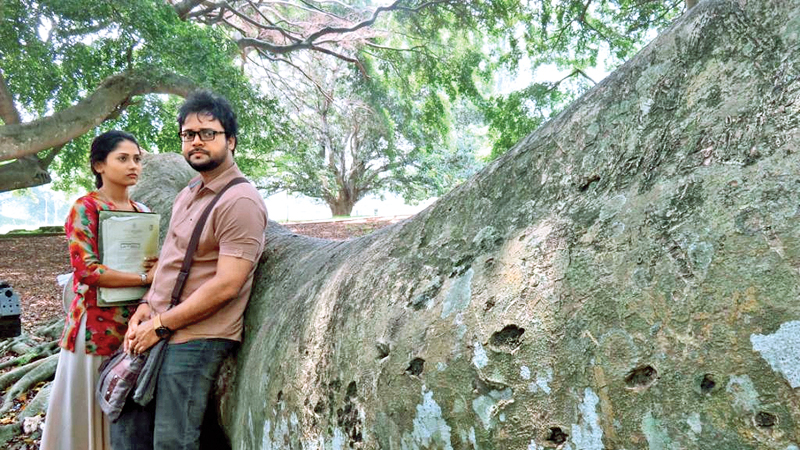 ‘Eka Dawasaka Api’ is based on a true romantic, love story is scripted by director Anuruddha himself. The rest of the cast includes veteran artistes Veena Jayakody, Medha Jayaratne, Rohan Ranatunga and many more.